Happy New Year! I hope you all enjoyed a pleasant winter break. We have a busy month coming up with the Variety Show and the Science Fair, and the recently added Black History 101 Mobile Museum – as well as the PTSA Community Meeting. We have an exciting agenda for this meeting featuring a conversation with our own Sharon Hatrak on the integration of art into the curriculum as our kids advance through the grades. Also including the latest news from our Principal; a chance to talk with Representative Rob Nosse (Oregon House Dist. 42) before the 2017 legislative session; and a guest presentation on keeping our kids safe with the Be SMART program by Kathy Beckley from Moms Demand Action for Gun Sense in America. Look forward to seeing you there! Black History 101 Mobile Museum For the past 20 years, the Black History 101 Mobile Museum has acquired thousands of original artifacts of Black memorabilia that date from slavery to Hip Hop culture. The Black History 101 Mobile Museum travels to colleges, universities, K-12 schools, conferences, and cultural events across the country and this week it is coming to Winterhaven! Watch for more details from Marisha Childs as she gets them finalized. It is slated to be in the library this Thursday for classes to visit. We are hoping it will also be available before the variety show for families to check it out after school. Variety Show! - Come one, come all, to the all-school Variety Show! If you haven’t seen our kids perform their hearts out before, you are in for an ENORMOUS TREAT! Singing! Dancing! Comedy! MUSE Band! Gymnastics! And all from the talents of our own students! When? Thursday evening, January 12, 6:30-8pm or Friday January 13, 1-2:30pm. Don’t miss it!! Dine out for Winterhaven - Mark your calendar! January 11th: Por Que No? - 4635 SE Hawthorne Blvd, Portland Oregon – Come eat and drink here and Winterhaven will receive 15% of the total profit for the WHOLE DAY with a cap at $500. And gift cards count toward that goal. So buy a card for a later meal too! Can't make? No worries! Email Nicole Cordan rcordan@pewtrusts.org, leave a check in the office for her, and she can pick up a gift card for you! Can you say YUM?? Elementary and Middle School Interest Class Helpers We have some wonderful classes for our students for the next session that begins in January. Middle school session starts 1/13 (8:30-10:10 am) and Elementary school on 1/20 (2-3pm). Session dates are 1/13 (MS only), 1/20, 2/3, 2/10 & 2/17. We really need a few Parent Helpers to join our teachers. This session’s classes include some amazing opportunities like sword fighting, mask making, intricate puzzles, Yearbook, no-cook cooking and more! This is a really fun way to interact with our students. If you can’t make a commitment to all 4 or 5 classes, even helping with one session would be wonderful - please consider contributing your time! Contact Erin Taylor erinlynett.taylor@gmail.com for elementary classes, and Barb Fisher or Rebekah Folsom barb@fisherbusiness.net/ rsatz@yahoo.com for middle school. Winterhaven’s signature event, the All School Science Fair, is rapidly approaching! While I know that all of our kids produce the BEST projects, we need your helping in finding the BEST OF THE BEST 5th – 8th grade scientists to represent our program at Intel’s NW Science Expo this year. That means we need volunteer judges (and MANY of them)! In hopes of making this process easier for you, we’ve created a simplified (low in jargon) scorecard for preliminary judging and split judging by grade over the week before the Science Fair. The five best scoring authors from each grade will be invited to present their posters to experienced judges, on Jan 26th with awards for the top 3 boards and honorable mentions to be announced at the Science Fair. For the initial screening, we will need volunteers (no science background or experience needed) on Jan 23, 24 & 25 (5-8pm) and Jan 26 (1-3 pm). For the final judging, we will need an additional set of volunteers (science background and/or science fair experience preferred) on Jan 26 from 3-6 pm. You don’t have to be a middle school parent to volunteer! If you’re interested, we want your help! Contact Jennifer Schramm (schramm.jennifer@gmail.com) with questions. Book Sale: Thank you to all who made our WH book fair a big success! We earned $475 worth of new books for our library. We couldn’t have done it without the awesome volunteers or all of you who purchased books. Thanks also to Wallace Books for being our book supplier and to Michelle McCann and Trackers NW for financially supporting our book fair. And a very special thanks to the organizers - Kristin Doherty, Julie Young & Heather Dickinson! See you all next December for the book fair! Community Service Update: Thanks to the community for addressing BOTH of our back-to-back community service donations to the Willamette Center and to Portland Food Project! - The staff at Willamette Center was incredibly grateful for the two carloads of toiletries, games, towels, and other donations we provided, and Mary Solnett gathered 150lbs of food for the Portland Food project that were delivered to a school pantry in East county that put together holiday food boxes for families in need!! A wonderful way to spread the spirit of giving and light at the end of a bleak year, and the shelter and pantry were SO GRATEFUL! Thank you, Winterhaven families!! How long did it take everyone in your family to get home in the December snowstorm? The recent snowstorm that resulted in cars abandoned and hours of travel for many to get home is a good reminder to increase preparedness for your family! Where were you today at 10 a.m.? 2 p.m.? If a major earthquake happened at those times, you could not drive, and public transportation was down, how long would it have taken you to get to school to pick up your child(ren)? How long would it take you from school to walk home? Would you have basic supplies to get you to school and get your child(ren) home (e.g. water, food, warmth, light)? 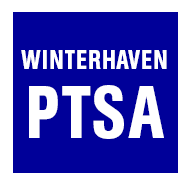 The PTSA Safety Committee and Winterhaven School has partnered to do their best to stockpile supplies for survival needs: first aid, water, food*, shelter and sanitation for students for at least 24 hours. Have you prepared? Ideally, you have a basic emergency travel pack in your car(s), workplace, or home (or all three!). Now that we are through the holidays, please take a little time to think about your needs and plan for your family. In the school information packet at the beginning of the year, there was a family emergency planning form to help you think through a family plan. Are your supplies ready too? For more information: https://www.portlandoregon.gov/pbem/46475? *Note: emergency food at school contains no nuts. If your child has a food allergy that is life threatening or creates severe health consequences, and you want to talk about your child’s food needs in an emergency, please contact the Safety Committee chair, Amy Rees at kateamy@comcast.net.